For most of us, moving with speed and power on the mats isn’t something that comes naturally. At first trying to use explosive strength is usually accompanied by a lot of flailing of limbs and a general lack of grace, which leads to the term “spastic white belt” being used to describe your style. Eventually, though, with practice you start to learn that there is a time and a place to put a little explosive strength behind your technique. Maybe you need to create a little more space against a bigger, stronger opponent or maybe you need to move faster in transition but whatever it is, your coach has told you that you need to be a little more explosive. However, before you run out and start doing a bunch of swings and box jumps there is something important to consider – the type of power we need to be explosive on the mats is a bit different than the power needed in a lot of other sports. The main reason is that we don’t get to take advantage of the “rubber band effect” like they do. To explain what I mean, imagine that your muscles are like rubber bands and as you stretch them they store energy. After getting longer and storing energy, that energy can be used when you reverse direction and contract the muscles. Winding up to throw a ball or a punch or crouching down before you jump are examples of this in action. This is also how a lot of exercises used to build explosive strength work – things like box jumps, kettlebell swings and medicine ball throws all use this “rubber band effect” as the muscles store energy by quickly lengthening and then releasing that energy when you explode in the reverse direction. And while these are all great exercises, there is another type of explosive strength that we need to work on as well. This type of explosive strength doesn’t use the “rubber band effect” and instead relies on maximum recruitment of the muscles from a dead stop. If you think about it, on the mats we rarely get the luxury of winding up into something. Most of the time we really have to manage our space, which makes being able to explode without first giving up space a critical skill on the mats. This makes training this skill a must for anyone serious about getting the most out of their training program. In my experience, these are best 3 exercises for building this type of explosive strength for BJJ. 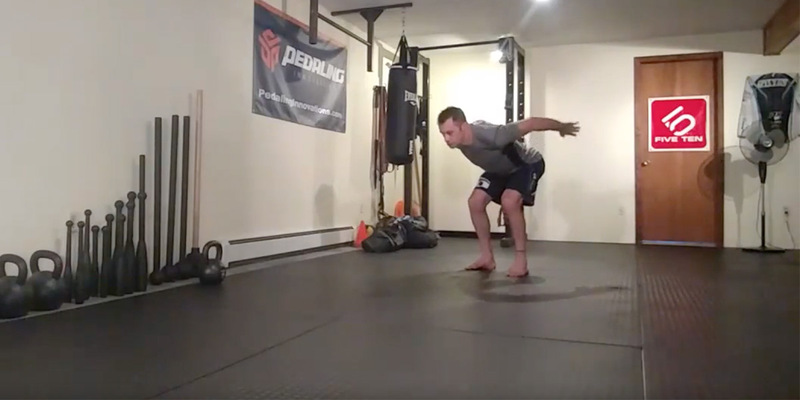 – Pausing Broad Jump: The Broad Jump is one of the simplest ways to build explosive strength in the hips. It is easy to do, relatively safe and lets you train some basic atheism that a lot of us lose as we get older. By pausing for a 4 count at the bottom of the Broad Jump we allow the stored energy to dissipate (a fancy word for disappear). This means we can’t use it when we finally reverse direction and explode into the jump, negating the “rubber band effect” and forcing us to rely on this other type of explosive strength. – Deadstop Swing: While almost everyone is familiar with the normal kettlebell swing (which is a GREAT exercise), few are familiar with this variation. By parking the kettlebell after each rep you lose the natural “rubber band effect” that swings usually rely on. 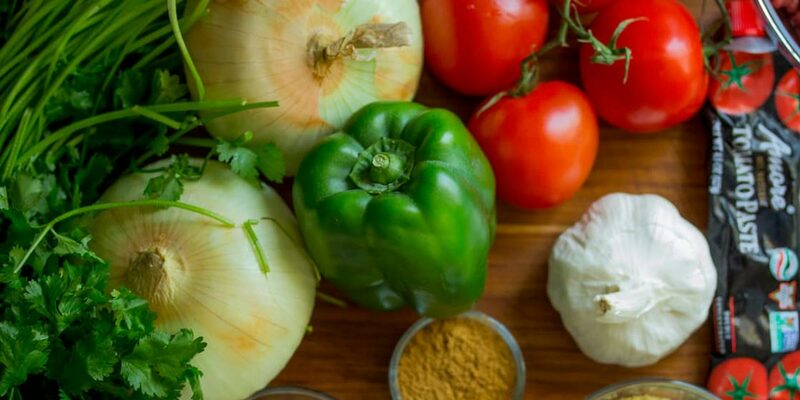 The trick is to make sure you stay nice and strong when you hike the kettlebell back and don’t let yourself sink much deeper into your hips, forcing you to recruit as many muscles as possible with the wind up. – No-Mo Explosive Push Ups: Just like the Pausing Broad Jump, the No-Mo (stands for No Momentum) Push Up has you pause at the bottom by extending your arms out to your sides. 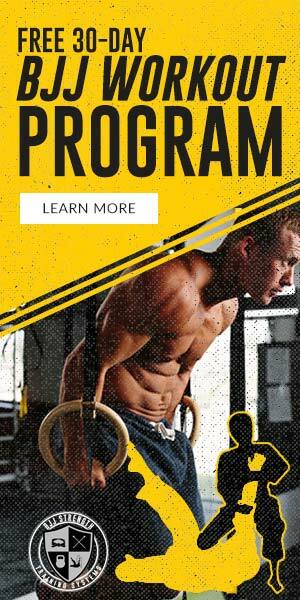 This takes the tension off the muscle and gets rid of the built up energy, again forcing you to rely on maximal muscle recruitment instead of winding up. I suggest keeping the sets and reps pretty low (2-4 sets of 3-6 reps) when using these exercises since they rely heavily on the nervous system, which will tire out faster than the muscles and lungs. Once this happens you can start to use bad technique and build bad habits, which is not the goal of training. When added to solid technique, explosive strength is something that can really help your BJJ game. Don’t make the mistake so many others do, though, and not train for both types of explosive strength. Add these exercises to your program and you’ll find your ability to explode when needed will increase significantly. A bold way to start 2014…are you in? 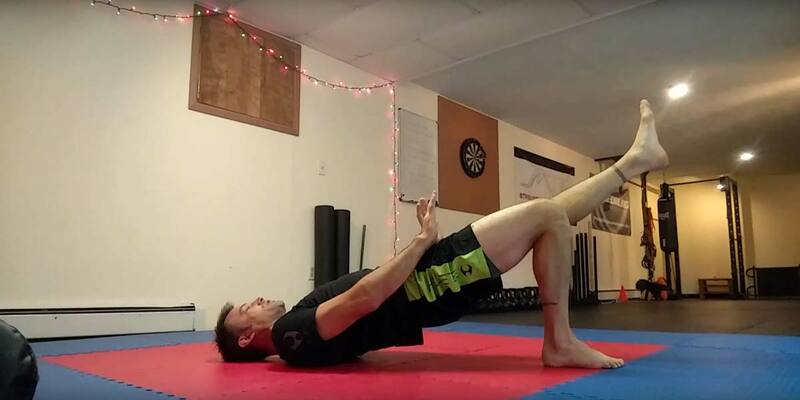 Do you want to roll with more ﻿﻿﻿﻿﻿strength﻿﻿﻿﻿﻿, ﻿﻿﻿﻿﻿endurance﻿﻿﻿﻿﻿ and ﻿﻿﻿﻿﻿﻿flow﻿﻿﻿﻿﻿﻿ on the mats? 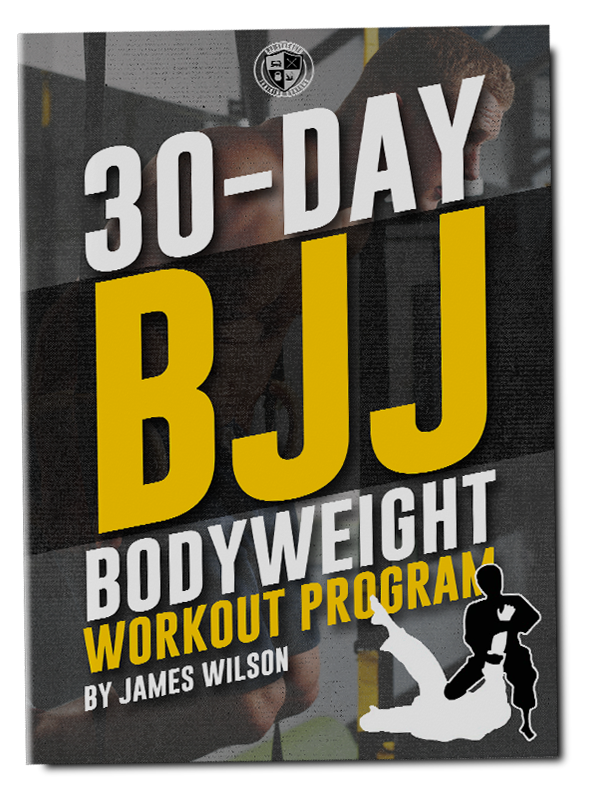 Then this ﻿﻿﻿﻿﻿FREE﻿﻿﻿﻿﻿ 30-Day BJJ Bodyweight Workout Program is exactly what you need, especially if you’re not a “natural” on the mats.